This event started 4 years ago under a different name “A Wild. Fundraiser”. This is a project to empower youth and students to make a difference in the community. Power comes with money and students usually lack financial credibility. Music For Change provides a platform for young adults to work together and make significant financial contributions to charities using their artistic talents. Guelph Sustainability Week 2017 is featuring Music For Change as an event this year. 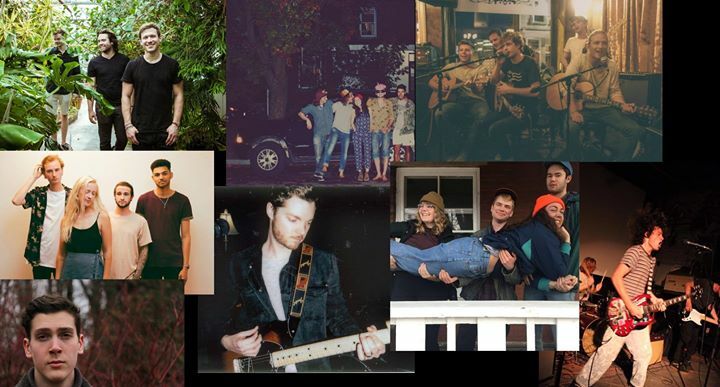 What once started as a house concert with two performers has now evolved to a multi-level evening of music with 8 bands coming together on March 23rd. Thousands of dollars have been donated to wildlife and humanitarian causes over the years which include: Wild Ontario, Biophilic World, Shades of Hope Wildlife Refuge, The Guelph Food Bank and the Guelph Outdoor School. Our main beneficiary this year is the Global Vets. With enough support from the community we will also be donating to CLAW (Community Led Animal Welfare) and a Guelph charity (yet to be determined).